And some very strong winds!! Four days in a row we had strong winds and heavy rains! We ended up with about 5 1/2 inches of rain in only 4 days. One day we had about an inch of rain in less than 30 minutes! Yes, it was a downpour! 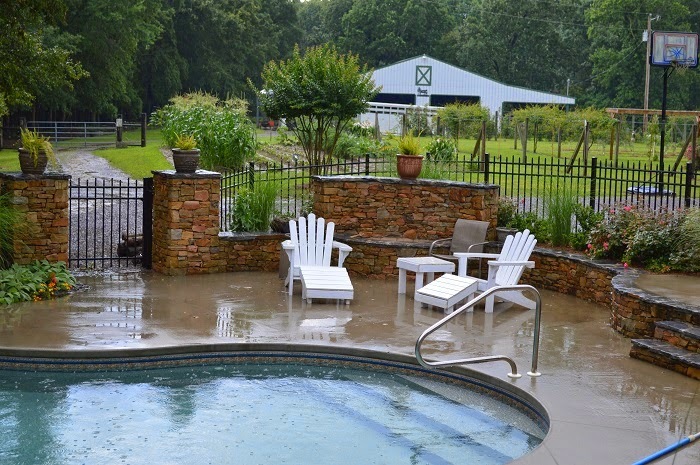 Needless to say, our swimming pool has not seen as much action as we had hoped for by now, but this week, we plan to make up for the lack of time we have spent in the pool! We have sunny days in the forecast, and I am so glad! 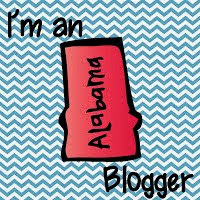 With all of the rain, I should have had more time to create and share some crafty projects with you for my favorite linky, Monday Made It. Instead, I have spent most of my time cleaning and catching up on some much needed housework. I did take time to create one anchor chart to share with you. 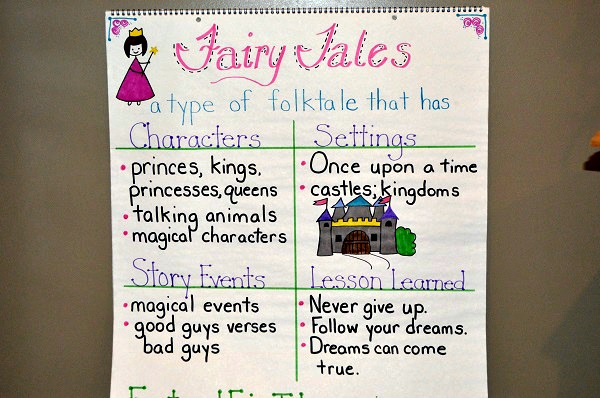 I recreated my Fairy Tales anchor chart. My old one was so faded out, it looked terrible, so I made a new one. 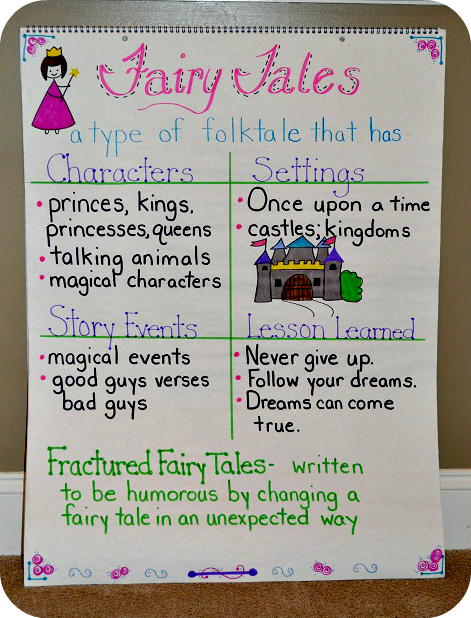 We will be working on Fractured Fairy Tales at the beginning of the school year, so this anchor chart will be just what I need. 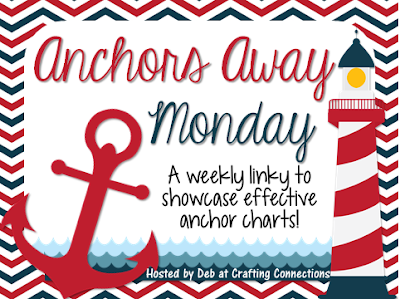 I am also linking up with my good blogging friend, Deb, at Crafting Connections for her Anchors Away linky. This is a weekly linky to show off anchor charts or share a favorite anchor chart from Pinterest. If you are looking for a fun linky for your blog this summer, this is a great one! Finally, visit my TpT store tonight or tomorrow for a great deal! 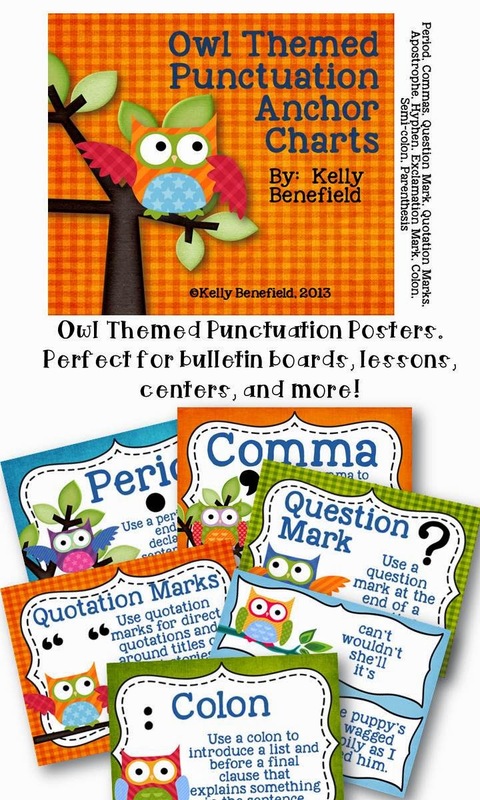 If you are considering decorating your classroom in owls, then my Owl Themed Classroom Set is perfect, and until tomorrow night, it will be 1/2 off! Don't miss out on this great deal! Buyers have said things like, "There are so many things that I need that are included in this. The entire packet is so great!" In the summer, I always look forward to having time for making and creating things. Some of the hobbies that I enjoy are sewing, crocheting, canning vegetables, and painting furniture. So far; however, all that I have accomplished has been basic cleaning! Hopefully, there will be some time for at least one or two fun projects. I have been busy creating products for TpT. First, I had a request for Chevron Motivational Posters, so here they are! This set of 10 colorful posters will make your walls or bulletin boards pop! 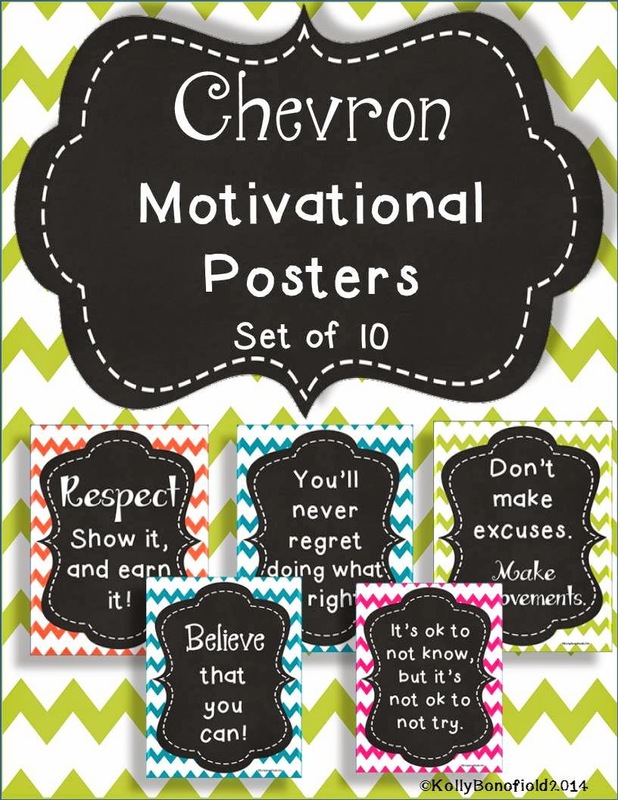 They will also encourage and motivate your students with positive sayings. I have also been busy creating new fall clipart. I am very proud of this cute scarecrow clipart set. There are 12 different designs in both color and black and white for a total of 28 pieces. This set could be perfect for your fall creations! As with all of my clipart, personal and commercial use is ok. 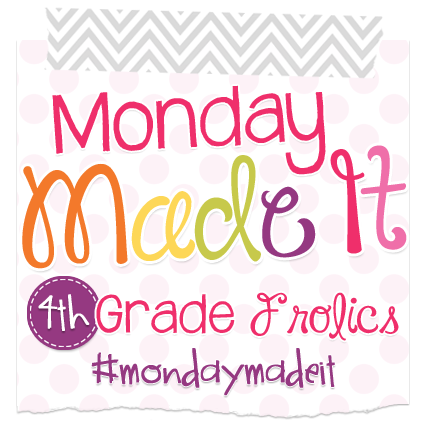 I am linking up with Tara for her Monday Made It Linky! This is one of my favorite linkies, and I look forward to linking up each week this summer! Now for the best part, each of the TpT items above are now on sale in my store. I am offering them for $1 each for 24 hours, so don't miss out! Each Monday Tuesday, I plan to have a TpT item that will be on sale for at least 50% off, so please check back each Monday to find new items at great prices as well as some fun projects that I hope to complete and share with you. Well, to begin with, I have loved this past week. My girls and I have enjoyed week #1 of summer vacation. Swimming, spending time with my girls, helping my dad put out sod (that one was hard work! ), and catching up on some much needed housework was just a few things on my to do list this past week! I'm looking forward to seeing what this week will bring! I must admit that I have had one lesson that I meant to share since the first of spring. I was trying to figure out a way to share it, when this afternoon, I ran across Meg at The Teacher Studio and her Loved That Lesson Linky. I knew this was the perfect opportunity to share Springtime Similes. I actually taught this lesson early in May. Normally, I do this lesson in the winter, but because of changes in our reading this year, I did not get around to reading the book Snowflake Bentley until May. I like using this book to discuss similes. After sharing the book and discussing the similes, my student normally would create Snowy Similes, but because it is spring, we changed things up a bit and created Springtime Similes. To be truthful, I think these turned out even better than Snowy Similes! We simply took a large 12x 18 inch piece of paper, folded into a hamburger (in half), then folded it in half two more times. Then open the paper back up to see 8 sections. In the first section, students wrote "Springtime Similes" and decorated. Then in each of the remaining spaces, students thought of and wrote a simile related to spring and drew pictures. We have worked all year on similes, and similes is one of my favorite things to teach. Students love to find them, and as you can see from these posters, they love to write them. I must say so myself, some of these similes are really good! I love this simile! I feel like a baby cub with its family so warm and loved. How sweet is that! This student had fishing on his mind and is hoping to catch a big one! There are many other books that are great to use with this activity. Crazy Like a Fox by Loreen Leedy is fun and is fantastically told using only similes. I LOVE this book: Marven of the Great North Woods by Kathryn Lasky. This is a biography of the author's father. It is a sweet story about a time in his childhood that his parents made the difficult decision to move Marven to a logging camp in hopes of protecting him from an influenza outbreak. Not only is this a wonderfully told story that your students will love, it is also full of unique similes. 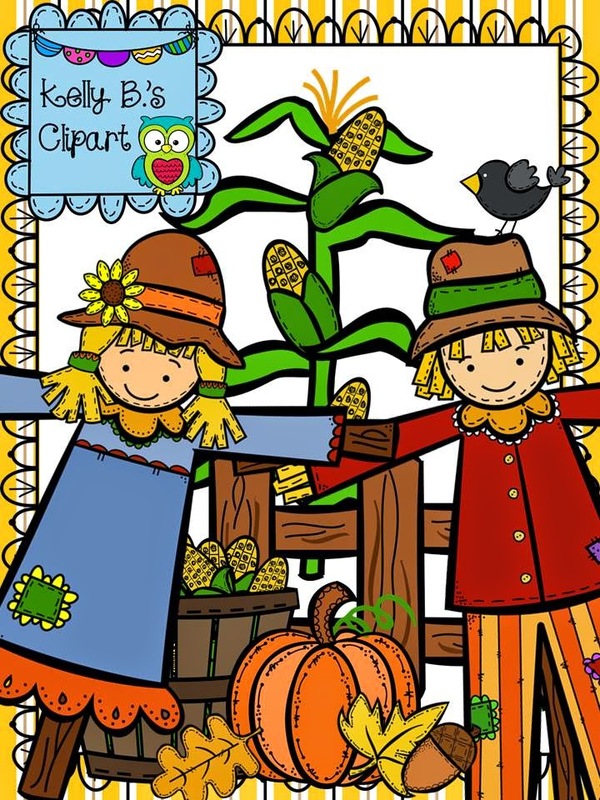 You could also create Autumn Similes by using Hello, Harvest Moon. I love this beautifully written book! Hopefully, you are now enjoying a restful and relaxing summer! I can't believe it is June! This school year flew by so quickly! My last day of school was Friday, and I know that I am going to miss my students so much next year! This group was absolutely one of the best that I have ever taught. Even though I had a great school year, I'm still looking forward to my summer with my girls, hanging out by the pool, and just spending some time together. I'm also excited that I remembered to link up for the June Currently! 1. I'm watching We Bought a Zoo for the first time. My oldest daughter likes this movie. 2. I'm trying to hurry to finish this blog post because my mouth is watering smelling the pancakes that my daughter cooked. She is just learning to cook, and pancakes is one thing that she can make on her own. The last ones that she made were delicious. 4. Yes, my class was a true blessing! I'm going to miss them! 6. 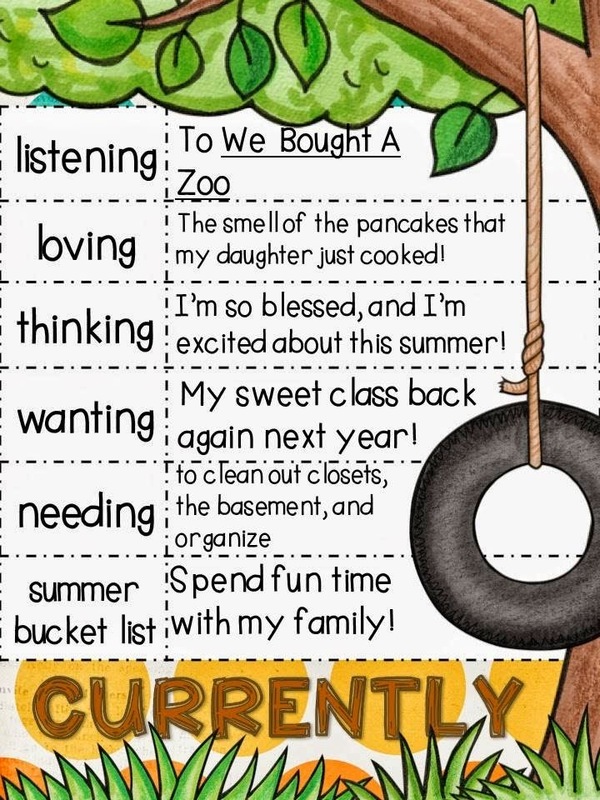 Swimming in the pool, summer grilling, eating food from the garden, spending time with my family, a couple of day trips, Vacation Bible School... These are just a few things planned for this summer. Also, resting and relaxing. I hope your Sunday has been blessed!